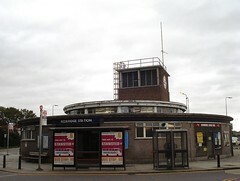 Zone 4 Tube station on the Hainault Loop of the Central Line. Last edited 2013-10-11 20:21:31 (version 6; diff). List all versions. Page last edited 2013-10-11 20:21:31 (version 6).